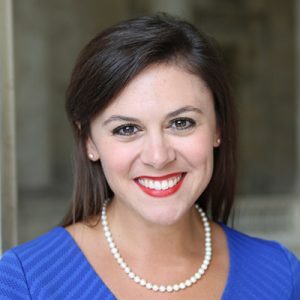 Elizabeth Joseph is the Health Policy Fellow for Senator Thad Cochran of Mississippi. In this role, she particularly is focusing on telehealth policy. Joseph is on assignment to Senator Cochran from the Center for Telehealth at the University of Mississippi Medical Center in Jackson, Mississippi. Previously, Joseph was Senior Project Manager for Highland Advisors, LLC, a wholly owned subsidiary of the Butler Snow law firm, where she coordinated association management duties and assisted with economic development initiatives. As a policy aide for Governor Haley Barbour, Joseph worked on Mississippi’s Broadband Stimulus grants, served as a member of the Mississippi Broadband Task Force, and assisted several policy offices. Joseph received her Master of Public Affairs degree from The University of Texas at Austin’s Lyndon B. Johnson School of Public Affairs. She received her Bachelor of Arts degree in English from The University of Mississippi, where she was inducted into the University’s Hall of Fame and served as the Senior Class President.